25 January – 2 March 2019. 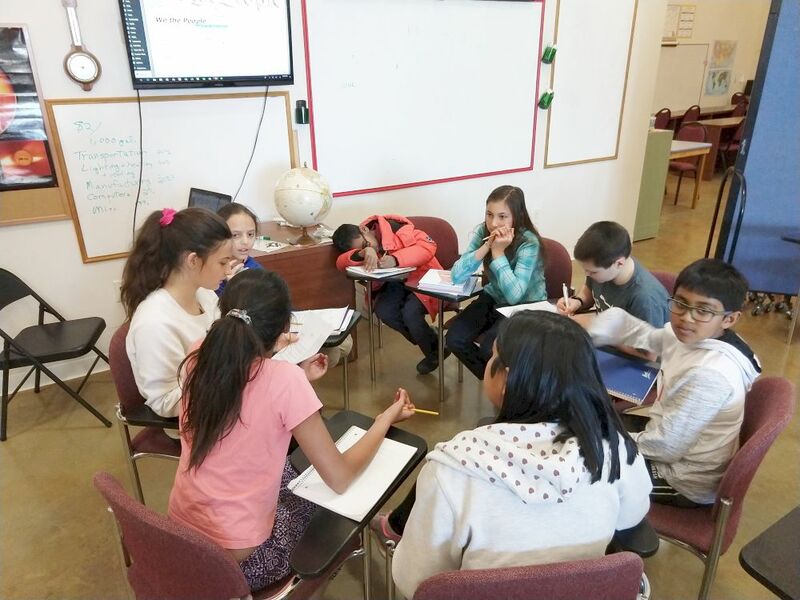 A recent session of grades 4-8 science on light and energy led naturally to a discussion of climate change. The ramifications of climate change for society led 6th-grader Erika to propose that the students as a group write a letter to our federal representative, Xochitl Torres Small. The group drafted a letter with eight points. Teacher Dr. Vince Gutschick put the letter up on the classroom display for all to see. The work on honing the format and the language led to a discussion on the topic, What are we asking Xochitl to do? (Yes, we’re being familiar – we know her personally, and she is a very approachable Las Crucen.) Vince then outlined, with great student input, what legislators can do, which is pass laws. Students proposed various aspects of law that might reduce climate change, particularly laws affecting the production and use of fossil fuels that drive climate change. Vince then noted some balances to be struck. Sure, fossil fuels are subsidized. Why was that thought to be a good idea in the past? We looked at the US Constitution, where the preamble notes the function of government to provide for the common defence (that’s the spelling of yore). Fossil fuels were / are currently deemed critical for military use, among other things. How does one balance defense of the planet and our own military defense? Can the military change substantially to other energy sources, and where are they doing this? The students then organized themselves into an intense discussion group. We’ll see next week what they came up with!